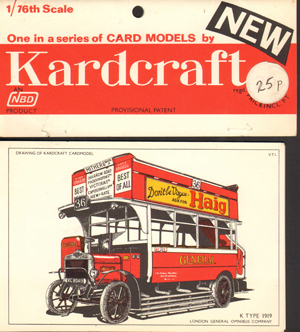 In the 1970s some paper models were produced with the name Kardcraft. 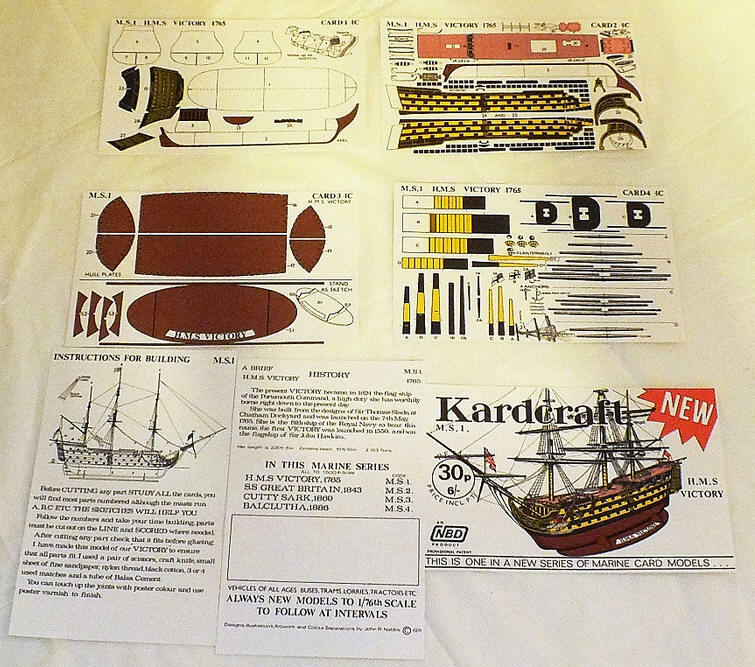 They followed the Micromodels tradition, with cards that are about the same size, and with the same kind of lay-out with instructions between the parts. The artwork is very precise and exquisitely drawn. The models were produced in Patching, Sussex England by N.B. Designs Ltd. (NBD). One of the designers was John R.Nabbs. 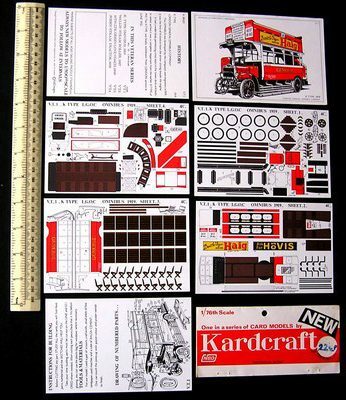 He designed the London Bus but probably more models. 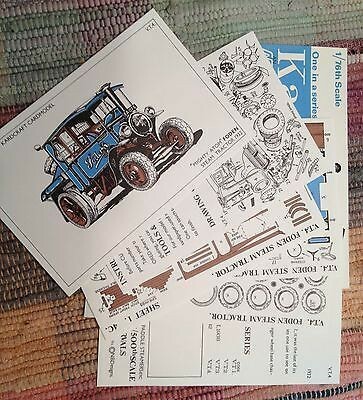 These paper models are rare. 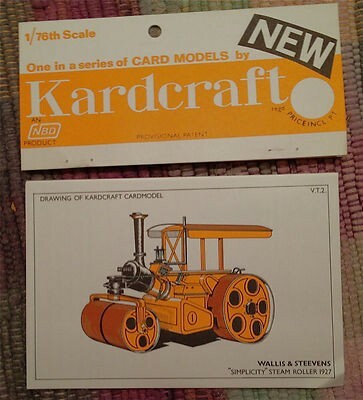 In 2015 a model of Kardcraft, the Victory appeared on eBay. 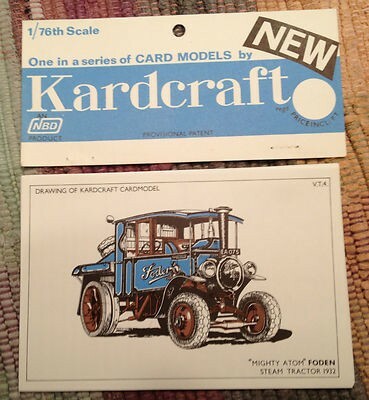 Only the Victory is known to exist, Kardcraft produced the model in 1971. The model contains seven cards enclosed in a plastic wrapper. The cards measure approximately 9.5 cm x 15 cm. 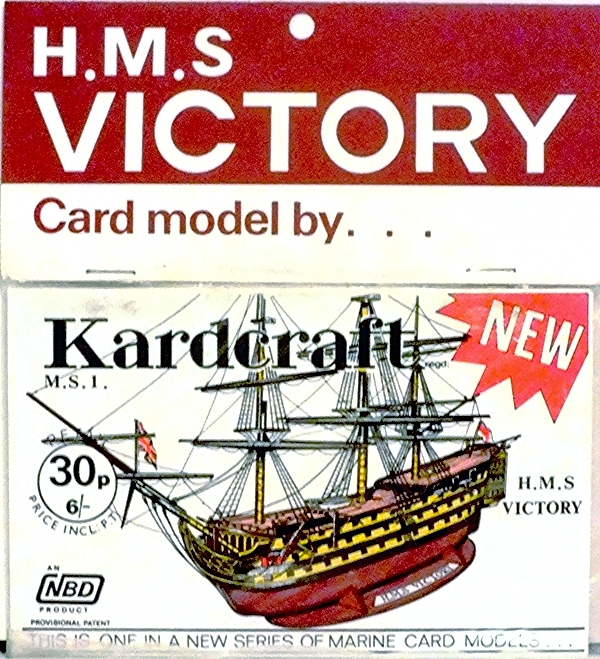 Micromodels also had a model of the Victory, but the Kardcraft model was completely redesigned. 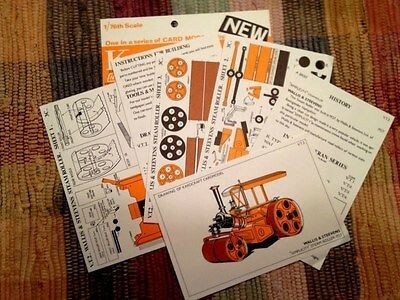 Also some models of road vehicles are known, all in 1/76th scale. Pictures were found of the following three models, but one more model seems to have been published.